themail archives INITIATIVE MEASURE NUMBER 62 “Treatment Instead of Jail for Certain Non-Violent Drug Offenders Initiative of 2002,” will be on the ballot in the general election on November 5, 2002. 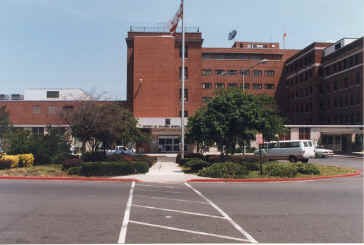 This initiative was written and introduced by the D.C. Campaign for Treatment, William D. McColl, Treasurer, 925 15th Street, NW, 2nd Floor, Washington, DC 20005. "Treatment Instead of Jail for Certain Non-Violent Drug Offenders Initiative of 2002"
Provide for dismissal of legal proceedings for defendants upon successful completion of the treatment program. This initiative establishes an office within the Department of Health to settle disputes regarding treatment. This initiative does not reduce penalties associated with any criminal offense. BE IT ENACTED BY THE ELECTORS OF THE DISTRICT OF COLUMBIA, That this act may be cited as the "Treatment Instead of Jail for Certain Non-Violent Drug Offenders Initiative of 2002." Sec. 2. Need for Drug Treatment. (1) There are between 65,000 and 100,000 persons in the District of Columbia who need treatment for substance abuse. Many of these people are charged with or convicted of illegal possession or use of a controlled substance. (2) The financial costs associated with substance abuse are enormous, arguably exceeding $1 billion in the District of Columbia for health care expenditures, premature death, impaired productivity, motor vehicle crashes, crime, and social welfare cases due to alcohol and drug abuse. For every $1 spent on substance abuse treatment an average of $7 is saved in costs associated with criminal justice, health care and social services. (3) Even more critical are the human costs associated with substance abuse. Substance abuse is a major factor in crime, joblessness, emergency room visits, AIDS cases, and public health in the District of Columbia. Sixty seven percent of recent offenders in the District tested positive in at least half of all drug tests. Similarly, 69% of the Addiction Prevention and Recovery Administration's clients have an arrest record. Eighty-five percent of child protection cases, 75% of foster care cases, and 35% of AIDS cases are related to drug abuse. (4) Treatment plays a critical role in the recovery of people who suffer from substance abuse and addiction. Substance abuse treatment is a more effective means of reducing drug use and abuse than incarceration of first and second time offenders of illegal use and possession of controlled substances. 3 Sec. 3. Purposes and Intents. (1) To break the cycle of drug use, addiction and crime as early as possible by guaranteeing treatment and rehabilitation services to non-violent drug users entering the criminal justice system. (2) To halt the wasteful expenditure of millions of dollars each year on the incarceration and reincarceration of non-violent drug users who would be better served by treatment and rehabilitation, and to promote medical and public health responses to drug abuse that reject incarceration for non-violent defendants charged with drug possession or use. (3) To provide substance abuse treatment and rehabilitation programs to non-violent defendants charged with drug possession or use, in order to reduce or eliminate substance abuse and addiction and increase the employability of such persons. (4) To enhance public safety by reducing drug-use-related crime and by preserving jail and prison cells for serious and violent offenders, and to improve public health by reducing drug abuse and dependence through professionally supervised drug treatment and education programs and programs designed to enhance employability. (5) To rest primary responsibility for the supervision of non-violent defendants charged with drug possession or use with community-based treatment providers, including those staffed by members of the community, and to ensure that drug testing is used as a treatment tool, with relapse understood to be a part of the process of recovery and not an occasion for punishment. (6) To maintain existing efforts in the District of Columbia to prevent drug use and to provide treatment and rehabilitation to substance users and abusers, whether or not they are involved in the criminal justice system, without reducing funding for such efforts in order to pay for treatment and rehabilitation programs made necessary by this act. (7) To supplement the availability of drug treatment and rehabilitation in the District of Columbia to address the diverse cultural, gender and addiction needs of drug users and abusers in the District. (4) "Controlled substance" means a drug, substance, or immediate precursor, as defined in § 48-901.02(4) of the District of Columbia Code, but does not include any schedule I substance under the Controlled Substances Act (21 U.S.C. 802 or 812) or any tetrahydrocannabinols derivative. (2) "First- or second-time offender" means an offender who is charged with or convicted of an offense of illegal possession or use, or charged with a drug-related parole or probation violation after the enactment of this act, and is not a repeat offender. (3) "Illegal possession or use of a controlled substance" means a violation of District of Columbia civil or criminal statutes involving having, holding, controlling, obtaining, or storing a quantity of a controlled substance consistent with personal use; or consuming, using, or being under the influence of a controlled substance; and including other non-violent illegal acts incidental to drug possession or use, such as possession of drug paraphernalia, purchase of a controlled substance, and transportation of a controlled substance merely as an extension of possession for personal use. (4) "Objective data" means confidential drug and alcohol treatment information that is specific and quantified, such as attendance records, drug test results, and progress reports, and does not include confidential communications made by a patient to a treatment provider or program in the course of diagnosis, treatment or referral for treatment for drug or alcohol abuse. (5) "Qualified treatment professional" means an individual with specialized knowledge, skill, experience, training, or education in the areas of psychology, psychiatry or addiction therapy who has the expertise needed to conduct the addiction and life skills assessments necessary to determine an offender's suitability to one or more forms of treatment and to recommend an appropriate treatment plan. (b) Has participated in 2 or more prior courses of treatment under this act. (7) "Request for treatment" or "request" means a motion filed by an individual facing charges of illegal possession or use of controlled substance or who has been convicted of such an offense. The request shall also include the defendant's written consent for limited disclosure of information to the court by a qualified treatment professional to be designated by the court, as necessary to and as provided for in Sections 5(e) and 7(a) for the creation of a treatment plan for the individual. Such written consent shall be non-revocable, and shall be governed by, and in a form that meets the requirements of, federal and District of Columbia laws and regulations protecting the confidentiality of drug and alcohol abuse treatment information. (8) "Treatment program" or "treatment" mean a treatment and/or rehabilitation program, or set of programs designed to reduce or eliminate substance abuse or drug dependency and to increase employability. Such program or programs may be located in the District of Columbia, Maryland or Virginia. A continuum of services shall be available, from low-threshold to residential drug treatment, including narcotic replacement therapies, including methadone maintenance treatment, as well as services designed for the special needs of women and parents, youth, the mentally ill, people with HIV or AIDS and other co-occurring health problems, pregnant women, and other culturally and linguistically diverse populations. Such program or programs may include outpatient treatment, half-way house treatment, narcotic replacement therapy, drug education or prevention courses and/or limited inpatient or residential drug treatment as needed to address special detoxification or relapse situations or severe dependence. Such program or programs may also include, as deemed appropriate, access to vocational training, literacy training, family counseling, mental health services, or similar support services. Drug testing may be used only as a diagnostic and treatment tool, as part of a treatment program. A Veterans Administration facility may also serve as a treatment program for an appropriate client, irrespective of licensure or certification. Except for persons receiving treatment under Section 6(d), the.terms "treatment program" or "treatment" shall not include programs offered in a prison or jail facility or in other forms of incarceration. (9) "Treatment provider" means a provider that has been certified under § 7-3009 of the District of Columbia Code or a provider, facility or credentialed professional that the Department of Health has otherwise certified or approved to provide a "treatment program." The Department of Health shall maintain a list of certified treatment providers. (C) Has asked to be removed from the treatment plan adopted by the court. (11) "Violent felony" and/or "violent misdemeanor" means any felony or misdemeanor that includes as one or more elements of the offense proof that the offender has caused or threatened to cause any injury, illness or other physiological impairment to any person. Sec. 5. Treatment Motion, Hearing and Assessment. (a) If an offender is charged with or convicted of illegal possession or use of a controlled substance, or charged with a drug-related parole or probation violation, the offender may request for treatment with the Superior Court of the District of Columbia. At the time the request for treatment is made, the offender must file a waiver of the defendant's right to a speedy trial, a preliminary hearing, the time limits for grand jury indictment so proceedings, arraignment, and sentencing hearing, unless the hearing, indictment, or arraignment has already occurred. The waiver of a right to a speedy trial lasts only for the duration of a request for and participation in drug treatment under this act. (b) Upon receipt of a request for treatment, the court shall stay all criminal proceedings related to the illegal possession or use of a controlled substance charge pending its final determination as to whether the offender is eligible under this act for treatment. The court may make its initial determination as to whether the offender is eligible for treatment with or without a hearing. This initial determination shall be made within 3 days of receipt of the request for treatment. If the court fails to determine the offender's eligibility for treatment within the time designated, the offender is presumed to be eligible for treatment under this act. (c) If the court makes an initial determination that an offender is not eligible for treatment without conducting a hearing on that issue, the offender may, within 3 days, request a hearing before that determination becomes final. If the offender requests a hearing on the initial determination, within 7 days thereafter the court shall conduct a hearing to determine whether the offender is eligible under this act for treatment, and the court shall enter its final determination as to whether the offender is eligible for treatment. (d) If the court finds the offender eligible for treatment under Section 5(b) or 5(c), the court shall accept the offender's request for treatment, including all waivers described in Section 5(a). In addition, the court shall stay all criminal proceedings, including sentencing, related to the illegal possession or use of a controlled substance charge, and shall order the release of the offender if the offender is in custody due to the stayed criminal proceedings. No offender found to be eligible for treatment and entitled to such release shall be sentenced to a term of incarceration either as part of treatment or for violating any conditions imposed under this act, unless and until the offender is removed from treatment under Section 9. A finding of eligibility is final for purposes of this act. (e) The court shall order an assessment of each offender found to be eligible for treatment under this act by a qualified treatment professional for the purposes of determining the offender's addiction severity and need for treatment, determining the types of drug treatment and social services that might be appropriate for the offender, and recommending an appropriate treatment plan. The assessment shall be completed within 7 days of the court's determination that the individual is eligible for treatment under this act. An offender with a history of opiate dependence shall be assessed by a qualified treatment professional trained in narcotic replacement therapy including methadone maintenance treatment, to determine whether such treatment is medically appropriate. (f) No person eligible for treatment in lieu of prosecution or incarceration under this act may be sentenced to a term of incarceration after the date this act applies to qualifying charges, convictions, and criminal sentences, as provided in Section 13, unless such person has first been provided an opportunity for treatment under the terms of this section and such person has elected not to receive treatment, or such person has been removed from treatment under guidelines established by this act. Sec. 6. Eligibility for Treatment. (C) An offense of illegally operating a motor vehicle under the influence of alcohol or a controlled substance. (B) The offender does not pose a danger to the safety of other persons. (2) If the court finds a repeat offender ineligible, the criminal proceedings against the offender may proceed as if the offender's request for treatment had not been made. (5) The individual does not pose a danger to the safety of other persons. (d) Subject to proper appropriation -and allocation by the District of Columbia Council and Congress, any offender not eligible for treatment under the terms of this act as a result of a conviction for an offense of possession, use, or distribution of any schedule I substance under the Controlled Substances Act (21 U.S. C. 802 or 812) and who has a history of opiate dependence shall be assessed by a qualified treatment professional trained in the use of narcotics replacement therapy, including methadone, maintenance treatment, and where medically appropriate, and upon the consent of the offender, shall be provided with narcotic replacement therapy, including methadone maintenance treatment, in addition to the sentence imposed. For offenders receiving narcotic replacement therapy while incarcerated, provisions shall be made for the uninterrupted continuation of such treatment in the community upon release. (a) The qualified treatment professional designated by the court under Section 5(e), after conducting an assessment of the offender, shall determine the type and duration of the treatment program or programs that the offender shall receive, and the methods of monitoring the offender's progress while in treatment, including, but not limited to, regular evaluations, and scheduled reports by both treatment program and offender about the implementation of the treatment plan. The qualified treatment professional shall prepare and submit this treatment plan to the court with a list of treatment providers capable of administering the proposed treatment program or programs. (b) The court shall review this treatment plan and shall adopt the treatment plan as submitted, if the court finds that the plan complies with this act. The offender may petition the court to modify the treatment plan where the offender believes that the treatment plan is not suitable to the offender's treatment needs and/or fails to provide appropriate drug treatment. If the treatment plan as submitted is found not to comply with this act or to be otherwise unsatisfactory, the court shall request the designated qualified treatment professional to reconsider and submit a revised treatment plan to the court. (c) The court shall designate an appropriate treatment provider or providers to administer the treatment plan adopted by the court from the list of treatment providers included in the qualified treatment professional's treatment plan. The qualified treatment professional who submitted the treatment plan shall not be appointed as a treatment provider unless no other treatment provider is available to administer the treatment plan. (d) The court may add reasonable conditions that are consistent with the treatment plan and with the therapeutic approach of treatment to the offender's terms of release to ensure compliance with the treatment plan and other court orders. These conditions may not include incarceration. (e) The court may require an offender who is reasonably able to do so to pay all or a portion of the cost of the offender's participation in a treatment plan. However, such payment requirement shall not be so burdensome as to make participation in a treatment plan inaccessible, nor shall such payment requirement be excessive or punitive in nature. (f) The court shall not require the offender to waive confidentiality of medical or treatment information as a condition for participating in a treatment plan, except that the offender may be required to give written consent for the disclosure by the treatment provider to the court of drug and alcohol abuse treatment information, limited to objective data and not including confidential communications. Such written consent shall be non-revocable, and shall be in a form that meets the requirements of all applicable federal and District of Columbia laws and regulations governing the confidentiality of drug and alcohol abuse treatment information. (g) If the offender does not consent to the terms and conditions imposed by the court, the offender's request for treatment may be deemed withdrawn and the criminal proceedings against the offender may proceed as if the offender's request for treatment had not been made, except that no otherwise confidential drug or alcohol abuse treatment information made available to the court may be used by any person in this or in other civil or criminal proceedings without the offender's further written consent. (h) The court shall require the offender to participate in and cooperate with the treatment program of the designated treatment provider for a period of time designated in the treatment plan, not to exceed 12 months. This period of time may be extended only if, based on information provided by a qualified treatment professional who has assessed the individual, the court finds by clear and convincing evidence that an extension of such period is necessary for treatment to be successful. No extension of the period of time designated for an offender's treatment plan shall exceed an additional 6 months. Under no circumstances shall the total time period of treatment required under this act exceed a total of 18 months; nor shall court supervision of any offender extend more than 90 days beyond the end of treatment. (i) The court shall order the offender to appear for treatment according to the treatment plan no later than 14 days after the court has found the offender to be eligible for treatment, unless the court, because of lack of space or other good cause shown, authorizes an extension of the date for entry into treatment. No offender shall be required to wait more than 30 days to enter treatment. Sec. 8. Modification of Treatment Plan. (a) The Department of Health will create the Office of the Ombudsman. The purpose of the Office of the Ombudsman will be to help offenders mediate and resolve complaints, problems, or disputes regarding the suitability or adequacy of the treatment being provided under a treatment plan. The Office of the Ombudsman shall be impartial, and, to avoid a conflict of interest, shall not be responsible for funding decisions for treatment programs or treatment providers. Offenders and treatment providers may contact the Office of the Ombudsman directly in seeking its assistance, and offenders may not be penalized in any way for such contact. Upon entering a treatment program, offenders will be given written notice about the Office of the Ombudsman. In addition, information about how to contact the Office of the Ombudsman and the function of the Office of the Ombudsman shall be prominently posted in residential and other facilities where treatment programs take place or where treatment providers meet with offenders. (1) Nothing in this act shall be construed to require a treatment provider to retain an offender who commits a major violation of that program's rules. (2) If at any point during the course of treatment, the treatment provider determines that the treatment being provided is unsuitable for the offender, or that it is impracticable for the treatment provider to continue to administer the treatment plan, the treatment provider shall so notify the Office of the Ombudsman and the court. (3) If at any point during the course of treatment, the treatment provider notifies the court that the treatment being provided is unsuitable for the offender, or that it is impracticable for the treatment provider to continue to administer the treatment plan, the court, after notice and an opportunity for a hearing, and subject to the recommendation of a qualified treatment professional, may modify the terms of the treatment plan and/or designate a new or additional treatment provider to ensure that the offender receives an alternative treatment program or related programs. (c) Offenders may seek modification of a treatment plan as follows: If at any point during the course of treatment, the offender determines that the treatment being provided is unsuitable for the offender or that the necessary services are not being provided as called for in the treatment plan, the offender shall so notify the Office of the Ombudsman or petition the court to modify his or her treatment plan. (1) If an offender so notifies the Office of the Ombudsman, the Office of the Ombudsman shall attempt to resolve such issues informally between the offender and the treatment provider. Once notified, the Office of the Ombudsman shall have 2 business days to respond to the offender, and an additional 3 business days to attempt to resolve issues brought to its attention. (A) If such informal resolution results in changes to the court-ordered treatment plan agreed to by both the treatment plan provider and the offender, the Office of the Ombudsman shall so notify the court, and shall inform the court as to those changes. The court shall then modify the court-ordered treatment plan to reflect those changes. (B) If such informal resolution is not successful, the offender may petition the court to modify his treatment plan. (2) If an offender so petitions the court, after notice and an opportunity for a hearing, and subject to the recommendation of an independent qualified treatment professional, the court may modify the terms of the treatment plan or designate a new or additional treatment provider to ensure that the offender receives an alternative treatment program or related programs as necessary to address the problems or deficiencies found to exist. Sec. 9. Violations, Consequences, Removal from Treatment Plan. (2) The offense indicates that the individual poses a danger to the safety of other persons. (2) The violation indicates that the individual poses a danger to the safety of.other persons. (1) If the court has not previously found the offender to have committed a serious disruption of the treatment plan during the current course of treatment, the court shall consider evidence that the offender poses a danger to the safety of other persons. Provided that the court so finds by clear and convincing evidence, the court may remove the offender from treatment. (2) If the court has once previously found the offender to have committed a serious disruption of the treatment plan during the current course of treatment, the court shall consider evidence that the offender poses a danger to the safety of other persons or is unamenable to treatment. Provided that the court finds by clear and convincing evidence that the offender either poses a danger to the safety of other persons or is unamenable to treatment, the court may remove the offender from treatment. (3) If the court has more than once previously found the offender to have committed a serious disruption of the treatment plan during the current course of treatment, the court may remove the offender from treatment. (2) The violation indicates that the individual poses a danger to the safety of other persons. (1) If an offender who has not been convicted of the illegal possession or use of a controlled substance charge that gave rise to the request for treatment is removed from a treatment plan pursuant to the provisions of this section, the criminal proceedings against the offender may proceed as if the offender's request for treatment had not been made. (2) If an offender who has been convicted of the illegal possession or use of a controlled substance charge that gave rise to the request for treatment is removed from a treatment plan pursuant to the provisions of this section, sentencing of the offender may proceed as if the offender's request for treatment had not been made. (3) If an offender is removed from a treatment plan pursuant to the provisions of this section, and has had additional criminal charges or sentencing stayed by the court, prosecution, conviction or sentencing for such additional charges against the offender may proceed as if the offender's request for treatment had not been made. (f) If the court does not remove the offender from treatment after finding any offense or violation described in this section occurred, the court may amend the offender's treatment plan to modify or intensify the form of treatment and to extend the period of treatment, subject to the recommendations of a qualified treatment professional, and may impose proportionate sanctions for the offense or violation, not including incarceration. (g) If the court extends the period of treatment pursuant to this section, the total period of treatment required shall not exceed 18 months. Sec. 10. Completion of Program; Benefits; Limitations. (a) If the court grants an offender's request for treatment prior to a conviction for an illegal possession or use offense, and the treatment provider notifies the court that the offender has successfully completed the treatment plan, or the treatment plan as modified, the court shall dismiss the stayed proceedings against the offender without an adjudication of guilt and there shall not be a criminal conviction for purposes of any disqualification or disability imposed by law and upon conviction of a crime. Successful completion of treatment shall not require the reduction or cessation of narcotic replacement therapies, including methadone maintenance treatment. (b) If the court grants an offender's request for treatment after a conviction for an illegal possession or use offense, and the treatment provider notifies the court that the offender has successfully completed the treatment plan, or the treatment plan as modified, the court shall dismiss the stayed proceedings against the offender. Successful completion of treatment shall not require the reduction or cessation of narcotic replacement therapies, including methadone maintenance treatment. (3) Order continued supervision of the offender for a period of up to 90 days. (d) Upon the dismissal of proceedings under this subsection, the court shall order expunged from all official records all recordation relating to the offender's arrest, indictment, or information, trial, finding of guilt, and/or dismissal under this section, but a nonpublic record thereof shall be retained solely for the purpose of use by the courts to determine the number of prior illegal possession or use offenses on record for a person later charged with or convicted of illegal possession or use, and to conduct criminal record checks for persons applying for a position as a law enforcement officer. Except as provided herein, the effect of such an expungement order shall be to restore such person, in the contemplation of the law, to the status he or she occupied before such arrest or indictment or information. No person as to whom such order has been entered shall be held thereafter under any provision of law to be guilty of perjury or otherwise giving a false statement by reason or failure to recite or acknowledge such arrest, or indictment, or trial in response to any inquiry made of him or her for any purpose, except that neither the successful completion of the treatment plan nor the expungement of records under this act relieve an offender of the obligation to disclose the arrest and any expunged conviction in response to any direct question contained in any questionnaire or application for a position as a law enforcement officer. Sec. 11. Limited Scope of Treatment Right. Nothing in this act prohibits the Council of the District of Columbia from authorizing treatment or treatment in lieu of incarceration or other penalties. If any provision of this act or the application thereof to any person or circumstance is held invalid, that invalidity shall not affect other provisions or applications of the act which can be given effect without the invalid provision or application, and to this end the provisions of this act are severable. This act shall take effect in accordance with the provisions of § 1-204 and § 1-206 of the District of Columbia Code. This act shall apply to all qualifying charges, convictions and criminal sentences before the court beginning on the first day of the next fiscal year after the fiscal year in which this act is enacted.